Pure Vitamin Club Ultra Salt Electrolyte Complex is a unique formulation of the purest, most absorbable, bio-available forms of sodium, potassium, magnesium, and calcium, along with over 60 beneficial trace minerals. Maintaining a proper balance of electrolytes is key in helping minimize heat stress, muscle cramping, and fluid loss due to heavy perspiration, such as occurs during endurance athletics, or other intense activity in hot conditions. One 90-ct. bottle of Ultra Salt Electrolyte Complex delivered every 90 days. You may cancel further orders at any time, as per the terms of service. Your body needs electrolytes to maintain your hydration level, not sugar and food coloring. When you sweat, you lose not only water, but salt and other minerals your body needs to function well. That’s why water alone is not enough for sustained exercise resulting in significant perspiration. The main component of sweat is salt, but not all salt is created equal. 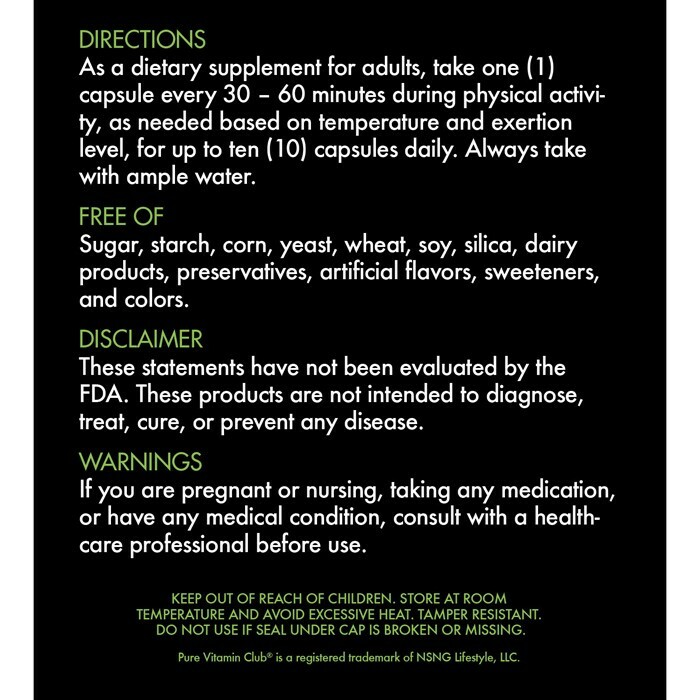 The same is true for other mineral supplements, each of which comes in many forms. 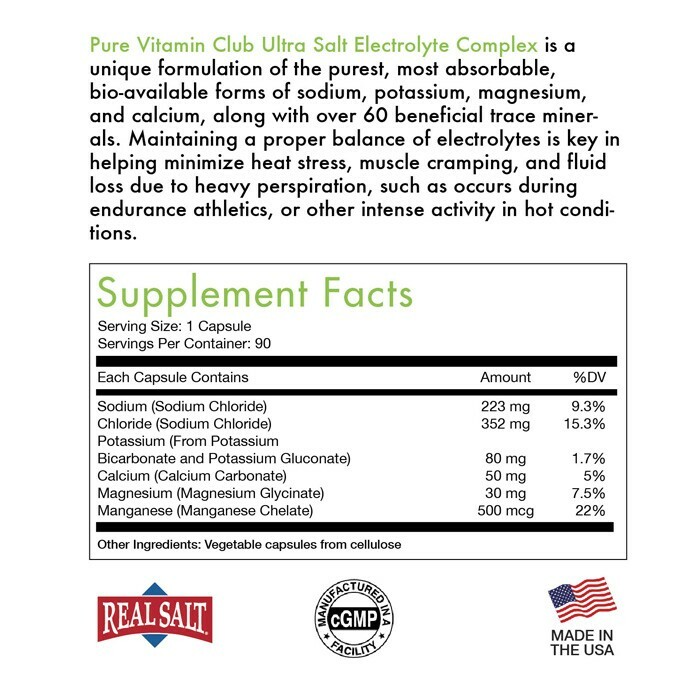 Pure Vitamin Club’s Ultra Salt Electrolyte Complex is designed to provide the optimal forms of the six main electrolytes (Sodium, Chloride, Potassium, Calcium, Magnesium, and Manganese), in the best balance for maintaining adequate hydration and peak athletic performance. 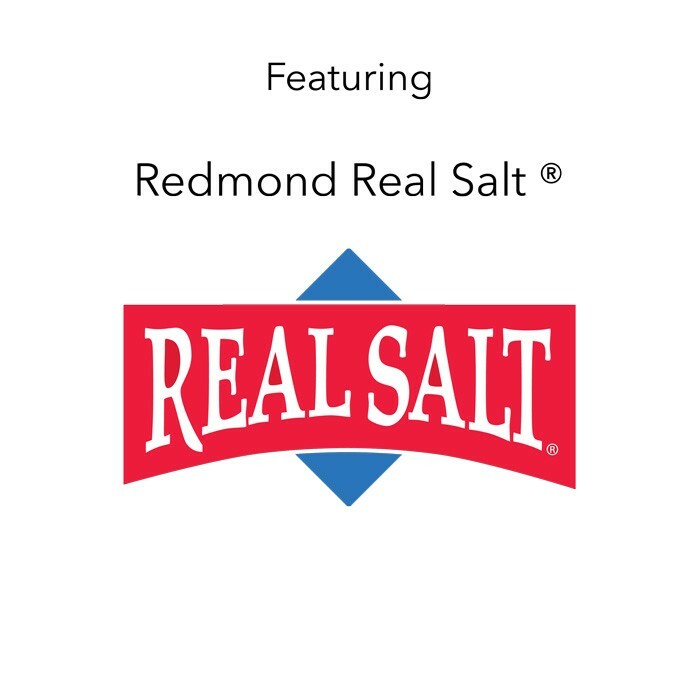 Pure Vitamin Club’s Ultra Salt Electrolyte Complex features Redmond Real Salt®, the only natural, unrefined, unprocessed, unbleached, ancient pink sea salt mined in the USA. This unique, ethically mined salt also contains over 60 trace minerals, the composition of which closely mirrors that of human blood. 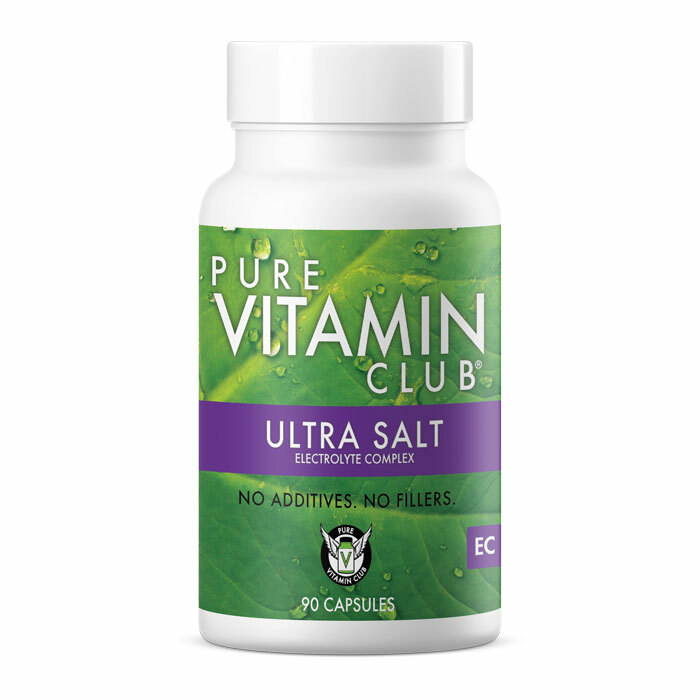 Pure Vitamin Club’s Ultra Salt Electrolyte Complex comes in bottles of 90 capsules, each containing 223 mg of Sodium, 352 mg of Chloride, 80 mg of Potassium, 50 mg of Calcium, 30 mg of Magnesium, and 500 mcg of Manganese, as well as over 60 trace minerals. There are absolutely no fillers, flow agents, colorants, or any other kind of added ingredient at all – just the best Electrolyte formulation available anywhere. One 90-ct. bottle of Ultra Salt Electrolyte Complex delivered every 90 days. You may cancel further orders at any time, as per the terms of service.